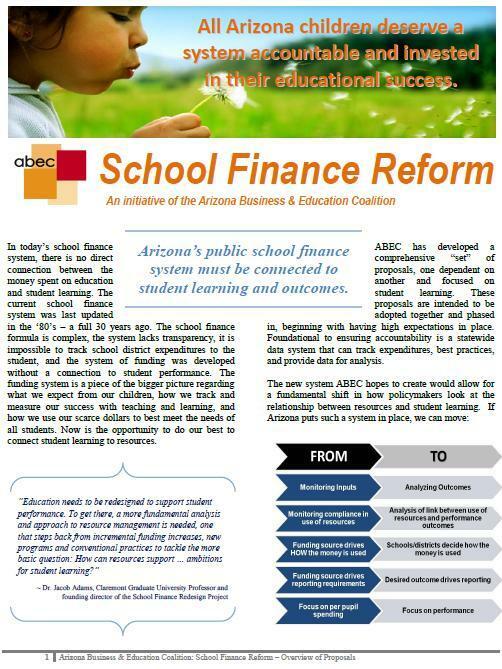 In 2006, the ABEC board of directors identified School Finance Reform as one of its top issues of concern. Arizona's current school funding formula was created in the early 1980's. ABEC believes the current funding formula has gaps which must be addressed. Furthermore, the current school finance system has no connection to student learning and may not be appropriate to support the 21st Century Learner. 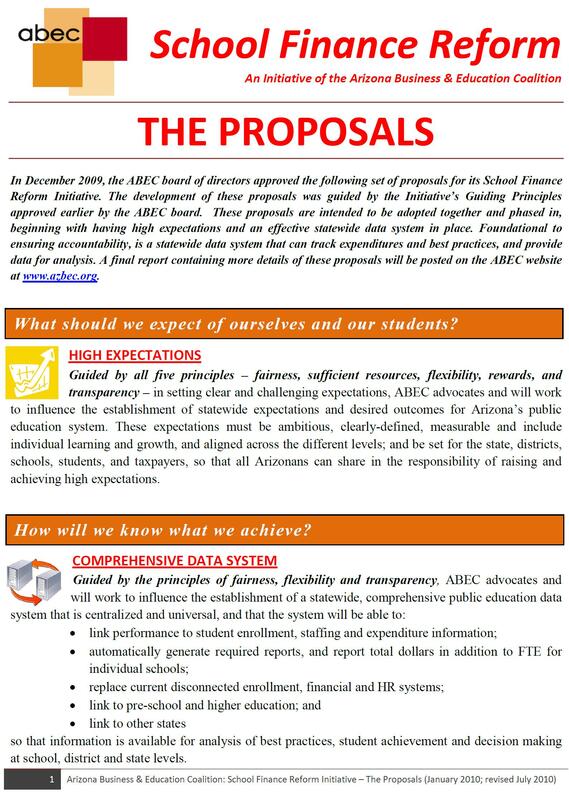 ABEC firmly supports the belief that education is a long-term investment and the foundation for Arizona's future economic success - improving student achievement is paramount! It has been clear from the beginning that ABEC's goal is not to "tinker around the edges" or to "fix" problematic aspects of the current system, but rather, to rethink fundamentally the way public education is funded. This requires setting aside the current system and building a new one that fully supports higher student learning - an objective completely absent from the current system. ABEC knows that designing such a system will be a challenge, especially while engaging and building support from various audiences. Led by a set of guiding principles, the outcome of this ABEC-driven initiative is the development of the ABEC School Finance Reform Proposals for education funding.